Uyeasound guizer jarl David Sutherland with his galley Dreki as she is scarified to the flames. Photo: John Coutts. Erik the Red looking forward to a long day of social events and festivities. Photo: John Coutts. 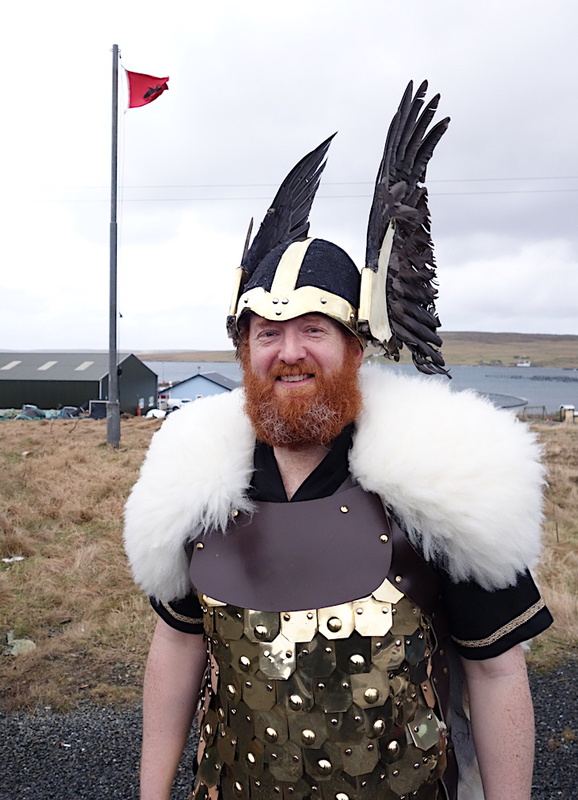 UYEASOUND man David Sutherland didn’t pick the sunniest of days for his big moment in local history, as he leads his squad of 20 hardy Vikings through the community. But he will be particularly pleased with his choice of name for today as Storm Erik roars across Scotland and is bound to make his present felt at Friday’s torch lit procession and burning. Little could he have known last summer about naming gales after Shetland jarls when he picked Erik the Red as the Viking to represent – mainly, but not exclusively, because of the colour of his hair. The 36 year old is also continuing a proud family tradition being already the fourth member of his family chosen to be the jarl in what is Shetland’s second oldest Up Helly Aa fire festival. He follows in the footsteps of his father Brian who was jarl in 2001, and joins him in his squad today, his grandfather (1951) and his great grandfather (1929). 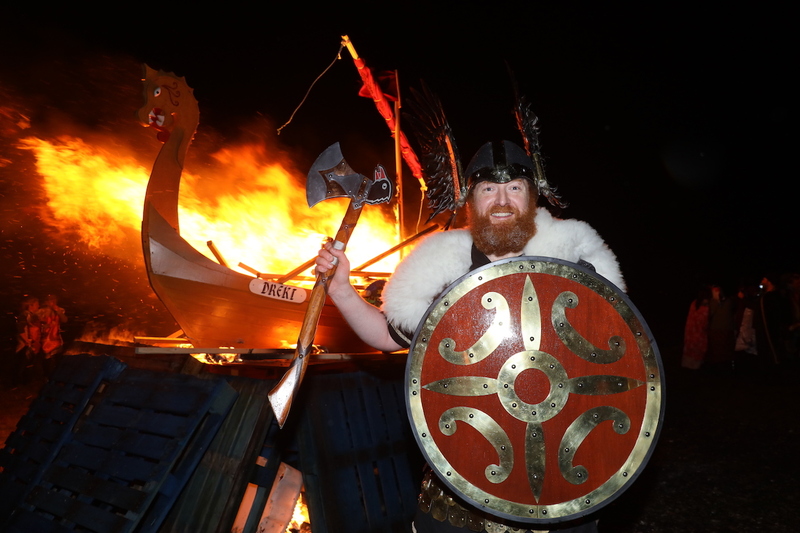 Speaking in Thursday as final preparations were all coming together, David, who works as an operator at Sullom Voe Terminal, said he felt privileged to have been chosen by the community to lead festivities. It has been a great winter, and a privilege to be asked,” he said. 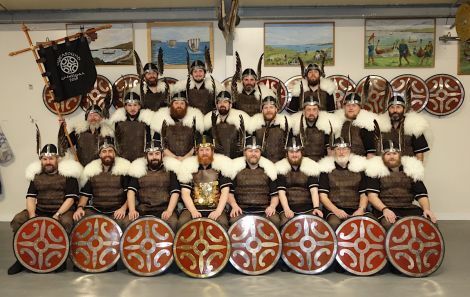 Dressed in black tunics, leather breast plates and white sheep skins on the back, his band of Vikings will enjoy a day of visits to the local school and care home plus a number of other social activities before the 154 guizers strong procession and the burning of his galley Dreki. The community will then come together in the Uyeasound hall to enjoy acts from 14 squads before dancing the night away to music from the Alan Nicolson Dance Band. The 2019 Uyeasound Up Helly Aa jarl squad. Photo: John Coutts.